Appleton OZ Gedney Non-insulated straight duplex connector of 3/8-Inch trade size, provides one screw x clamp x male NPSM connection for tight fitting. This 1.06-Inch connector has 0.53 to 0.21-Inch outer diameter and 0.44-Inch thread length for smooth, quick and easy installation. 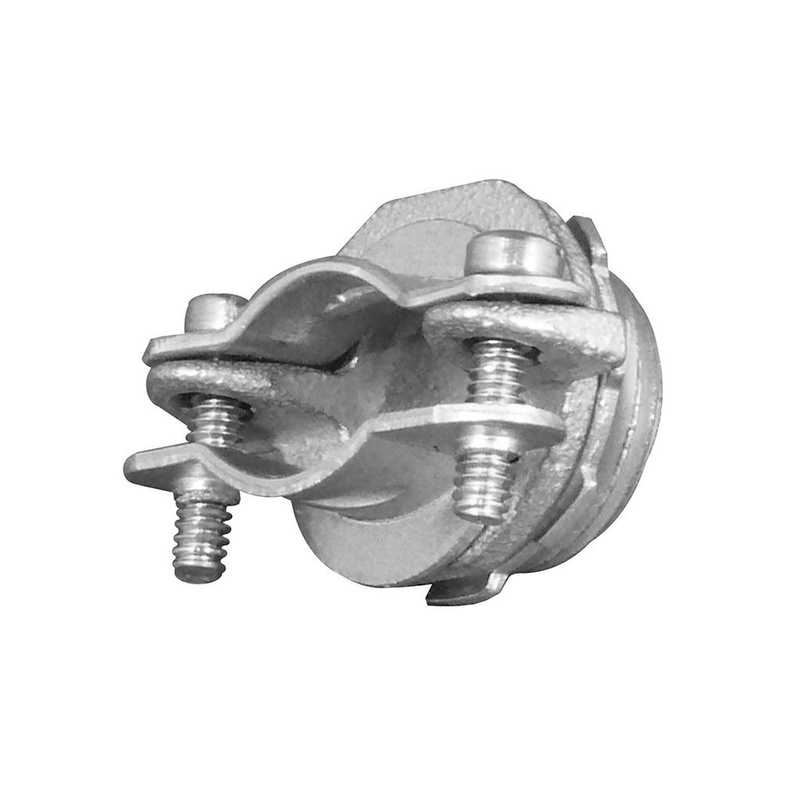 This connector in zinc-plated finish, has malleable iron construction for durability. The connector is suitable for use with two armored cables to boxes and enclosures.